Searching for Red Deer MLS listings used to involve calling on signs or newspaper ads and stumbling onto open houses. The problem with these methods is that you only see a small percentage of what's on the market. The MLS site is far more effective; however, only limited information is revealed, such as the price and number of bedrooms. As a buyer, you want to know all of the pertinent information such as the address, taxes and so on. 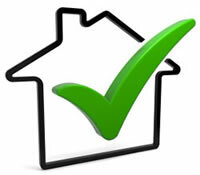 Our home search technique emails you Red Deer MLS listings which match your criteria! Just fill out the checklist below and whenever new Red Deer MLS listings matching your criteria hit the market, they're flagged and automatically emailed to you. There's no need to spend your spare time searching for homes which may not even match your criteria - just sit back and relax! Best of all, this exclusive service is offered to you absolutely free and with no obligation. Just take a few moments to complete the following checklist and you'll instantly be on your way to mastering the Red Deer real estate market!